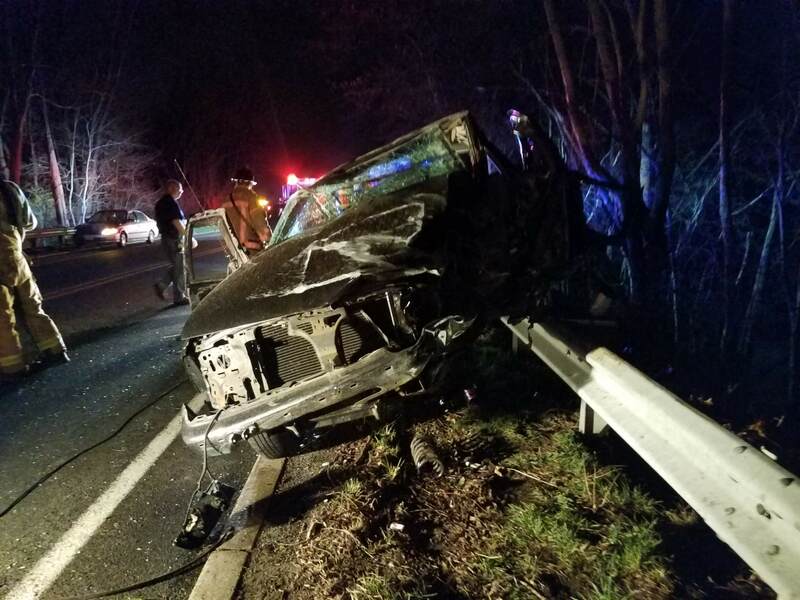 Last night at approximately 8:30pm Reisterstown was alerted for an MVC on Hanover Pike near Kemp Road. SU418 called enroute and just pulled out of the station when it was upgraded to an MVC with one trapped. Other volunteers in the area came down and brought Engine 412 and 413 as well. Crews found two vehicles 100 yards apart and one of them was up on the guard rail. It took crews approximately 10 minutes to extricate the patient from the vehicle who was then transported by ambulance to Shock Trauma. Crews were in service approximately 45 minutes after dispatch.